We whipped up a batch on the weekend to take around as a delicious gift to introduce ourselves to all of our new neighbours. Plus a jar for Laura’s mum who is a big fan too. Made with juicy peak season plums which are high in natural sugars and in great abundance at the moment, the spread is sweet naturally, requiring no added sugar. However, for that unique smokiness and a touch of extra natural sweetness, my Mum who makes one of the best povidl I know, has taught me to add some pitted prunes to the mix, it’s pure genius! In terms of texture, I like my povidl showing signs of real fruit, but if you like a smooth almost butter-like spread, feel free to blend the slightly cooled and pitted jam with a stick blender. This is especially handy considering that povidl is not just a sweet spread used on bread or in Danish-style pastires or jam donuts. It works perfectly well with roasted pork or duck as a dipping sauce – almost like a Chinese plum sauce but without added sugar and other nasty additives. Use plums that are in peak season, over ripe is good – you’ll usually find them heavily discounted at the grocer’s. Fresh plums can be halved and cooked with pits – those can be removed at the end before transferring into jars, saving you lots of time and plum juice. Add pitted prunes and a little tawny port to the mix to deepen the sweetness and flavour. Cook for at least 5 hours, stirring the pot often to prevent the sugars in the jam from catching and burning on the bottom of the pot. Pasteurise the jars to prolong the jam’s life, then keep refrigerated after opeening. The whole process takes about a day all up, especially if you’re thinking of canning (pasteurising the jam into jars), but it’s relatively hassle free and so deliciously worth it! Use plums that are in peak season, over ripe is good and generally you'll usually find them heavily discounted at the grocer's. No added sugar is required for the spread but if you like your jam sweeter, add 1/2 cup of brown sugar halfway through the cooking.If pasteurised, the povidl should keep in a cool store area for around 3 months. Makes about 1.5 litres. To make the Plum and Prune Jam: wash plums and cut in half placing them into a large stock pot. Add prunes. Place on the stove over medium high heat and allow to come to a boil. At this stage the juice will start to come out of the plums and it may look like a lot of liquid - don't worry. it will cook down. Reduce heat to just a simmer and cook, uncovered, for 4 hours, stirring every 15 minutes or so to prevent the fruit from burning on the bottom of the pot. The liquid should reduce by that stage and the mixture should start to become more sticky. Add port and mix. Lower heat to just below simmer - you do not want it too cook too rapidly as it may spit hot lava-like bits all over the kitchen. Cook for another hour or so, stirring every 10 minutes. Turn off the heat and allow to cool before removing the pits from the jam. To pasteurise: transfer cooled mixture into specially designed canning jars, making sure there is no air trapped in between spoonfuls. Leave about 1cm jam-free gap at the top, wiping any mixture off with a paper towel. Screw on lids semi-tightly and pasteurise in a pot (according to the jar manufacturer's instructions), cooking for 10-15 minutes from the moment of a hard boil. Caramelized and smoky? That sounds amazing! Oh my this looks fantastic. Plums are everywhere right now and I think I should give this one a try. I read the “jam donuts” and that did it for me. So deliciously European. My mum always made and kept Plum jam. 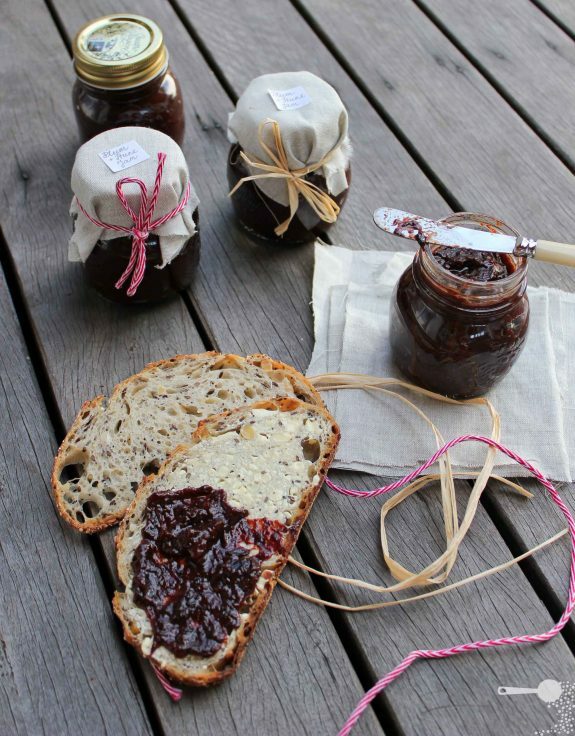 This looks exquisite – I have never made jam before, but these pictures make me want to give it a try! I bet this would make lovely gifts as well. 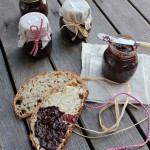 I didn’t know you could make jam without added sugar, love the idea. Absolutely divine combination of flavours IMHO. I like that you have a sugar free option as the main one. Too many foods these days have hidden sugars rotting our kids’ teeth. What a wonderful gift to share with your neighbours! This is how it used to be back in the day and your jars look the part too, Very Stepford in a good way. Martyna, when I saw the title and the photo, I wanted to say “how do you find plums at this time of the year” 😉 I keep on forgetting you are enjoying sunny, warm season now. I make plum jam every year, I often cook it for two days and given the texture I call it “plum butter”. I have never added prunes or port to it. (I know there are people who make jams only with prunes!) I must try your recipe next year. It looks delicious! I would of never thought of making jam without adding sugar. Definitely a recipe I want to try, thanks for sharing. Tawny port, brilliant. Looks just wonderful and great tips too. I love learning something new – and today I did. It does look very good! Wow, this sounds amazing! Port + prunes…I love how you described it as smoky. Definitely going to have to try this! I grew up spreading this stuff on my toast and eating it in biscuits so I can safely say I love it! There’s always a jar of it in my fridge. Great recipe! Such droolworthy jam! If only I could’ve had something like this on my toast this morning… sigh. I harvested a lot of plums from our tree last week, this is great timing! I love there is some savoury butter too with the sweet jam 🙂 Love how you have styled these jams, beautiful! This sounds awesome. I was under the impression that plums get a bit bitter when cooked. I guess its not the case with overripe plums, and prunes help also. 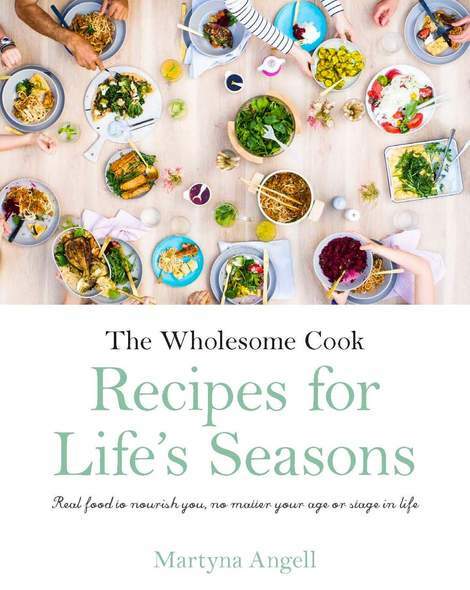 Your recipe came half a year early (or late:)) Its snowing at present! Oh wow, your povidl sounds amazing!!! Your description of it as caramelised and smokey sounds amazing. I would have never thought to pair plums and prune together to make jam.. but I think you did an excellent job with this recipe. This jam certainly sounds decadent and amazing. What a perfect combination of this jam. I like prune and my boyfriend love plum. Can’t imagine how good it will be. Love it!! Definitely refrigerator. I’d say you could keep it for 3-4 weeks but you can always freeze it too in small containers.